Hearing loss can be an incredibly difficult subject to talk about. 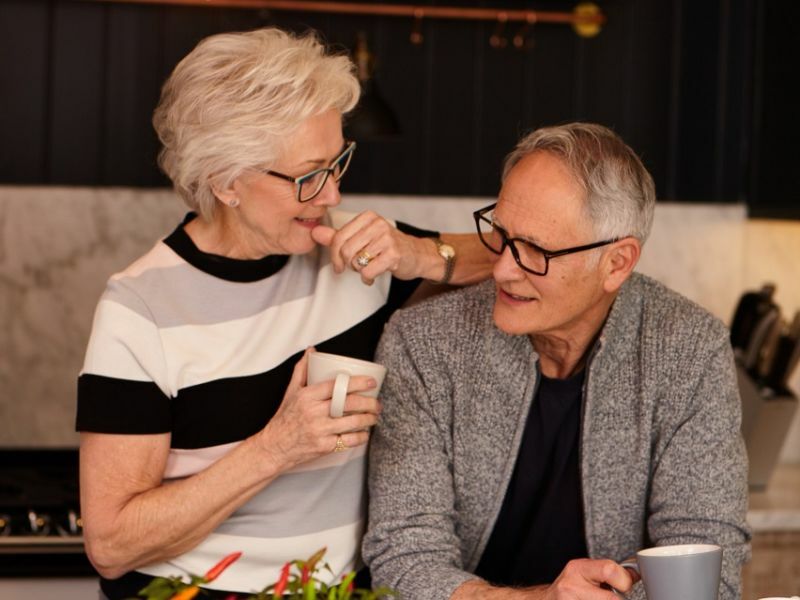 If you think a loved one is having trouble hearing, your first instinct may well be to jump in and insist they have their hearing tested, or perhaps even tell them they need a hearing aid. However, this approach will probably be met with a great deal of resistance. A person suffering with hearing loss is likely to be in denial – it can take around seven years on average for someone who is hard of hearing to accept it and choose to wear hearing aids. It is generally more comfortable for a person to deny hearing loss. They are likely to be afraid of the unknown prospect of a hearing test and wearing hearing aids, and there is also the common stereotype of “old people” being hard of hearing. To accept their hearing loss, your loved one will need to overcome their fears as well as move beyond the barrier of society’s perception of them looking “old”. However, there are ways you can gently help and encourage them to do so. It can be tempting to bring up a loved one’s hearing loss in a moment of frustration, after having had to repeat yourself for the third time for example. This is a negative point to start from though – it’s an important and delicate conversation that should be carefully considered. Try to plan the conversation well in advance to find the best time for it. You should also choose a quiet, private place to speak with minimal background noise. When speaking to a person about hearing loss, do not talk about “their” problem or be aggressive or accusatory. That is likely to cause them to be very defensive and even stubborn, as it’s possible they feel that admitting to a hearing problem is the same as admitting to getting old. Instead, try to be compassionate and show your concern for them. For example, “I’m a little worried about how often people have to repeat themselves when they’re talking to you” or “I’ve noticed you have to have the television very loud” could be good conversation openers. Focus on the benefits of having their hearing loss treated that are personal to them. Instead of simply saying “you’ll hear better”, give examples such as “you can listen to the grandchildren read you a story” or “you’ll hear the birds in the morning when you go to get the paper”. There are also other implications, such as the fact that untreated hearing loss can mean you are more likely to develop dementia, and even safety considerations such as hearing a smoke alarm. Try not to lecture a loved one about hearing loss – it needs to be a two-way conversation. Be empathic, let them express their worries without cutting them off and try not to respond with “but…”. Acknowledging and accepting a hearing loss is a very big step and the most difficult one for someone to take in treating it. While accepting they may have a hearing loss can be the most difficult step for a loved one, they will still need support beyond it. They are likely to be nervous about the prospect of a hearing test and wearing hearing aids, particularly if they do not know what to expect. Support them by offering to go with them for their hearing assessment, ask questions of the audiologist when you are there and continue to demonstrate the concern you showed when you first raised the issue. Your loved one will appreciate a steady source of emotional support. Leightons Opticians & Hearing Care offer free hearing assessments, as well as a wide range of the latest digital hearing aid technology. Our expert audiologists are always on hand to help guide you through every step of the process, with free aftercare included as standard. You can [book a hearing appointment online], call us on 0800 40 20 20 or visit your nearest branch for more information.